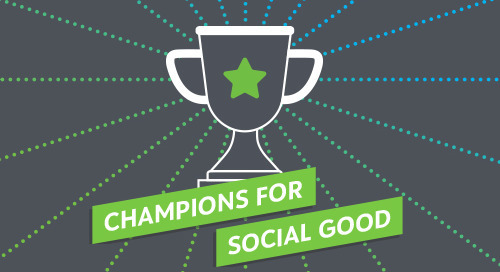 In this episode of the Champions for Social Good Podcast, Jamie Serino speaks with Lisa Pool, Executive Director of Technology Affinity Group (TAG), a non-profit membership organization that promotes the power of technology to advance the goals of the philanthropic sector. Lisa delves into the current technology lag in the philanthropic sector and explains how TAG is working to increase the adoption of technology for foundations. Lisa specifically talks about TAG’s newly expanded project, the Simplify Initiative, a go-to educational resource for foundations to learn about all kinds of technology tools relative to the grantmaking cycle. In addition, Lisa and Jamie discuss the increased demand for outcomes and impact measurement and how the adoption of technology will be an imperative for foundations hoping to meet this demand and drive the sector forward.